Profile > Information > System > Ningbo Sanyi Commodity Co.,Ltd. - - Ningbo Sanyi Commodity Co.,Ltd. Ningbo Sanyi Commodity Industry Co., Ltd. is one of the main professional manufacturers of micro-fiber products in China. Our company covers an area of 8,000 square meters. We enjoy convenient transportation. It takes 15 minutes by car from the Ningbo Airport to our factory, and 30 minutes to Beilun Port which is one of the most important ports in China. Such transportation has brought us more opportunities and competitive advantages in both domestic and foreign markets. Established in 1993, and with more than 5 years of experience in producing micro-fiber products, we have won a good reputation among our clients from all over the world, such as Japan,America, Europe, and so on. 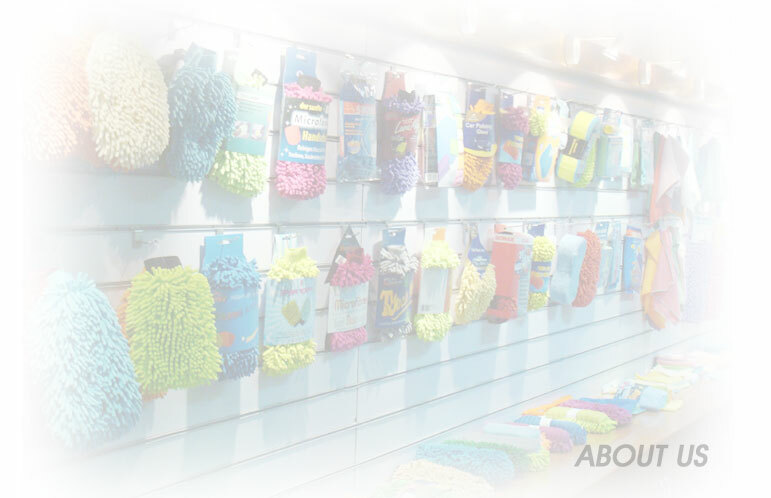 We focus on manufacturing polyester and polyamide micro-fiber products for cleaning tools, such as car washing mitts, car polishing pads, car washing sponges, pet washing mitts, mop heads and cushions used in bathroom. To satisfy our clients, we promise to supply products with good service, good quality and reasonable prices. Our skillful sales teams will be available at any moment. Clients' designs and specifications are welcome at any time. Please visit our website and your interests and inquiries will be highly appreciated.